Fire Protection Online, one of the UK’s leading online sellers fire safety supplies, has chosen customer insight services from Blue Sheep to reveal its most profitable repeat buyers to drive a new and successful direct marketing campaign. 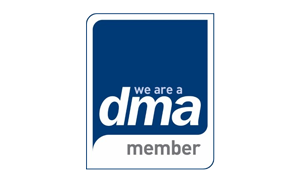 Fire Protection Online had used direct mail catalogues in the past, distributed to its database and a bought-in list. However, a lack of targeting, an inability to track responses and poor results led to the e-commerce site abandoning the strategy in favour of online advertising. 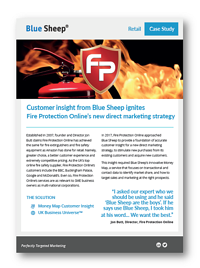 In 2017, Blue Sheep conducted its revolutionary Money Mapping service, to reveal two distinct and potentially profitable customer segments, that Fire Protection Online used for a new and invigorated catalogue mailshot.  The sales data was later analysed to reveal a 2.31% response rate, which delivered a profitable ROI, and far exceeded Fire Protection Online’s expectations. 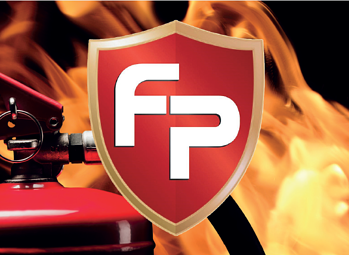 Fire Protection Online is the UK’s leading online seller of fire extinguishers. It offers a full selection of fire safety equipment and related products to businesses in the UK, including fire blankets, first aid kits, fire alarms, fire safety signs, smoke alarms, and other fire safety equipment and supplies. Fire Protection Online backs all sales with low price and 100 percent satisfaction guarantees.